Modular smartphones concept is there from quite sometime but they have not really taken off. With the Moto Z family of smartphones Motorola has the technology working but it needs good number of Moto Mods for consumers to get excited about the phones. The existing Moto Mods like the camera one, a movie projector, a speaker or an extra battery pack are a good start but it needs diverse set of Moto mods in the long run. In this context Motorola has partnered with Indiegogo crowdfunding site to scout for developers who have new ideas for Moto Mods. With Indiegogo collaboration developers will have the opportunity to raise money for their new Moto Mods ideas. Developers interested can find more details submission info on this Indiegogo page. 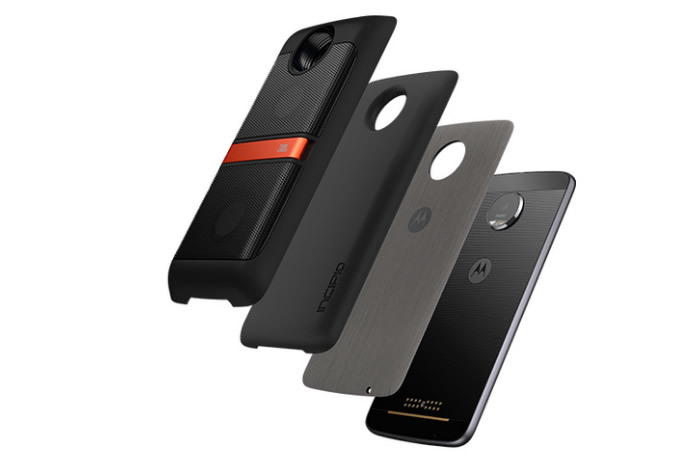 As part of the Moto Mods Developer Contest the best Moto mods ideas will get the Moto Mod Development Kit (MDK) and Moto Z phone for free. If your idea is unique you might get the chance to visit the Moto team at their Chicago Office and pitch your ideas. Motorola is also holding moto mods hackathons in the US to inspire developers. The first of it in in New York this December. The hackathon participants who create a Moto Mod will have the opportunity to participate in the Indiegogo campaign. Developers will get in-person help at the hackathons for creating moto mods prototypes. That is not all the help ypu can get, if your idea is really good and marketable you will get a funding boost from Lenovo Capital for best Moto Mods, a $1 million capital is waiting for the best ideas. For submitting your moto mods idea go here.